The starling was @SpeciesofUK from 30th June to 6th July, 2013. The UK's starling, Sturnus vulgaris, is also known as the Common Starling or European Starling. It is one of 114 starling species worldwide, all members of the Sturnidae family. The starling has spread right around the world, both naturally and by man’s intervention. 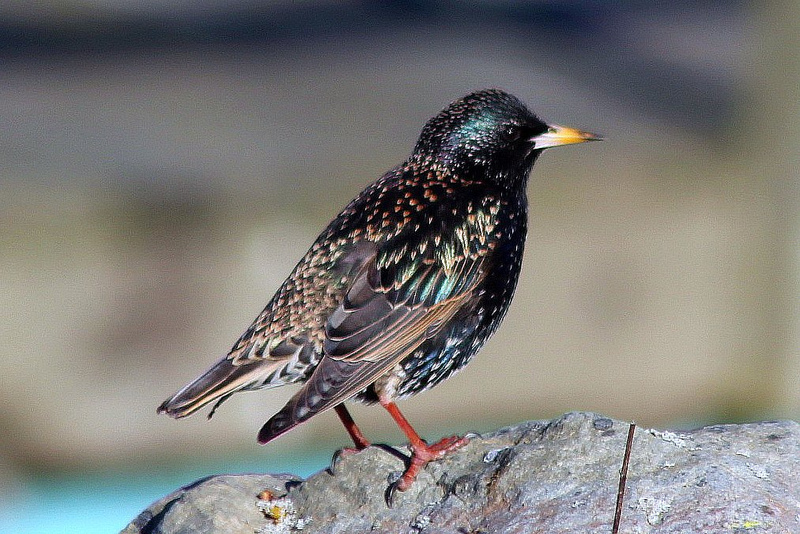 The starling’s natural range extends across Europe and Asia. Within this range there are around a dozen subspecies. It has also been introduced to America, Australia, New Zealand and South Africa. The starling was introduced to the USA in 1890-91 when one hundred individuals were released in New York's Central Park. Of these, fifteen pairs survived and established the species in North America. The starling is a widespread species in the UK, with the exception of the highest parts of the Scottish Highlands. It's most abundant in southern England and least common in upland moors. 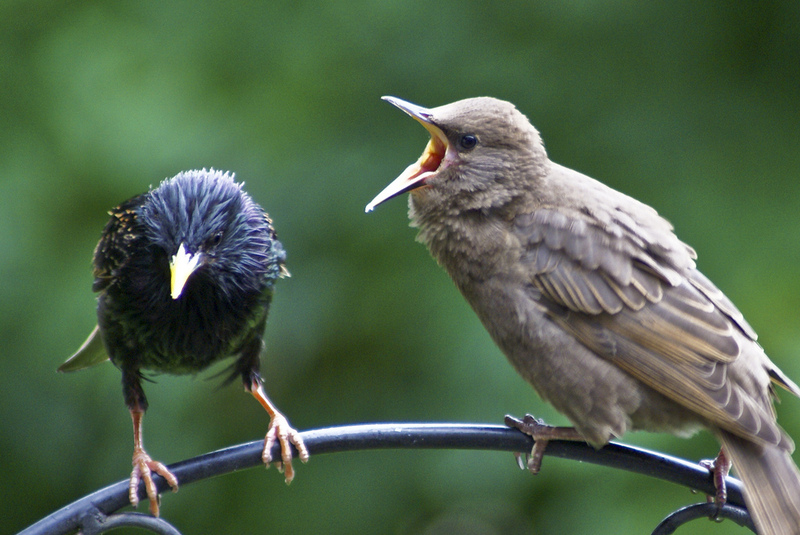 Unfortunately, starlings have recently suffered from a dramatic population crash in the UK. They're still pretty common in gardens, but numbers have dropped by a catastrophic 92% in woodlands. They are noisy little creatures. 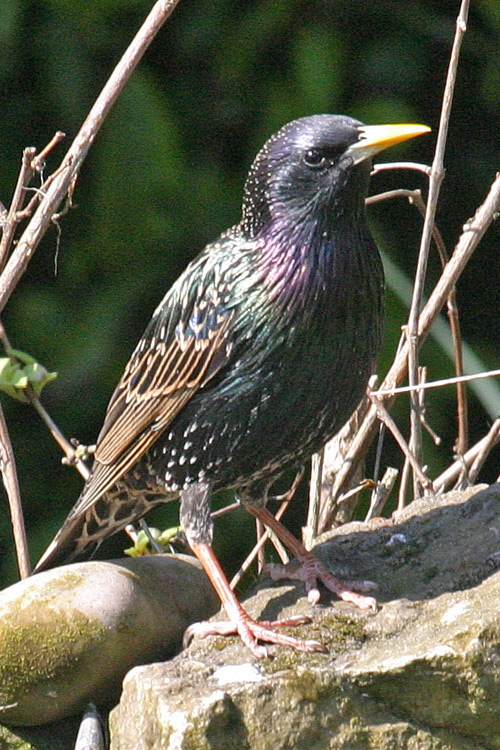 The starling is famous for its extraordinary range of vocalisations. It warbles, chuckles, whistles, snarls creaks, chips, chirrups and gurgles! The only time of the year when starlings are not making a racket is when they are moulting. 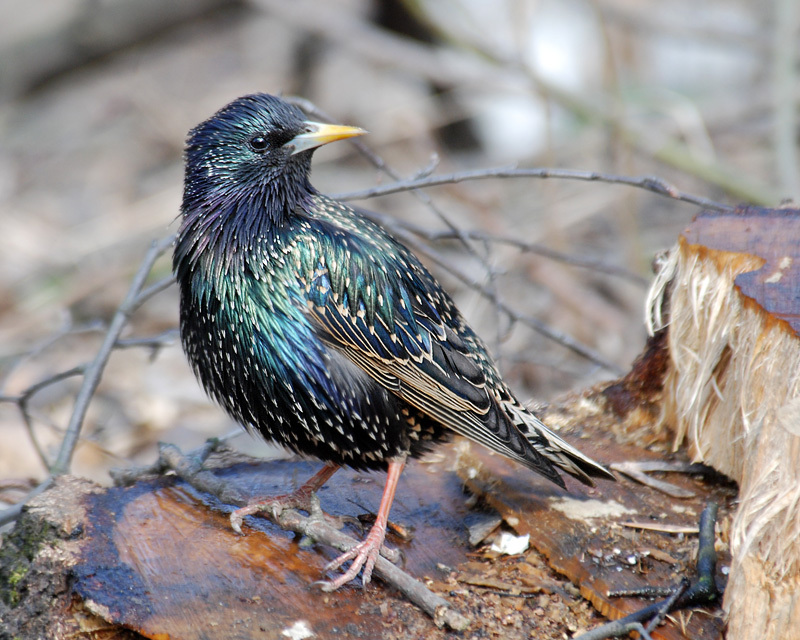 Most famously, the starling is also a very accomplished mimic. They often copy the sounds of other birds, animals and even mechanical sounds. The BBC website also has a fantastic selection of starling videos and sound files if you want more! Starlings are not just noisy, they are garish and brash all round. The starling stands slightly smaller than a blackbird. It has a short tail, a pointed head and triangular wings which it uses for a fast flight. 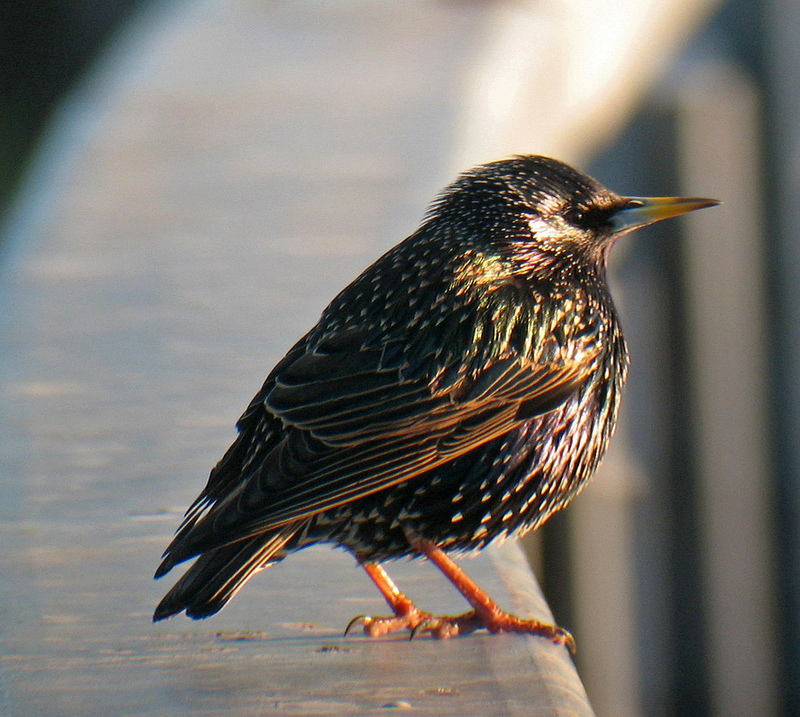 The starling has a very distinctive 'confident' gait when it walks or runs on the ground. From a distance the starling looks a dull black but up close they are glossy with an incredible sheen of purples and greens. The summer plumage is made up of iridescent green glossed feathers covering the back, nape, and breast. The wings occasionally have a veneer of green and purple. In winter the starling has a cream-coloured 'flecking' against a black background. This happens when the tips of the feathers have eroded away. 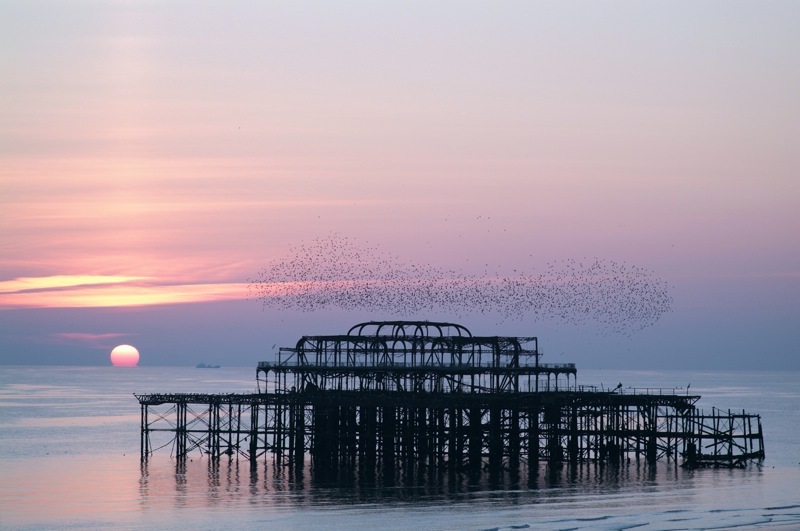 The number of starlings in the UK swells in the winter as continental starlings come here for an excursion. Overall male and female starlings look similar. But males have elongated feathers over breast and a bluish spot at the base of their bill. The starling is very gregarious. They feed, roost and migrate in flocks. Large roosts occur in plantations, reed beds and cities. 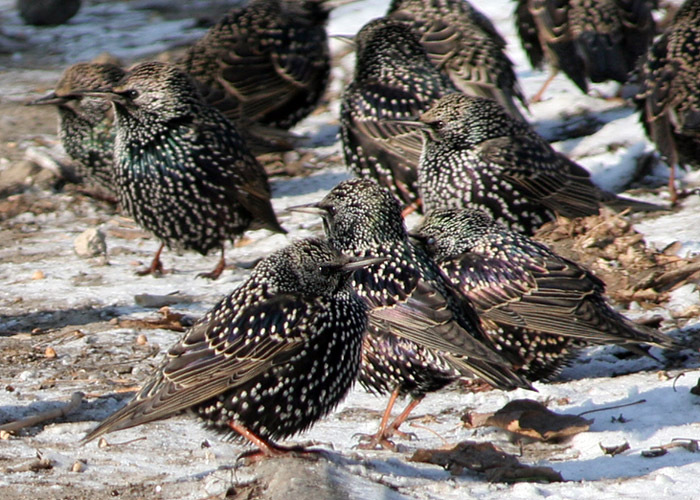 When starlings flock before they roost, it's called a 'murmuration.' It's an astonishing sight. 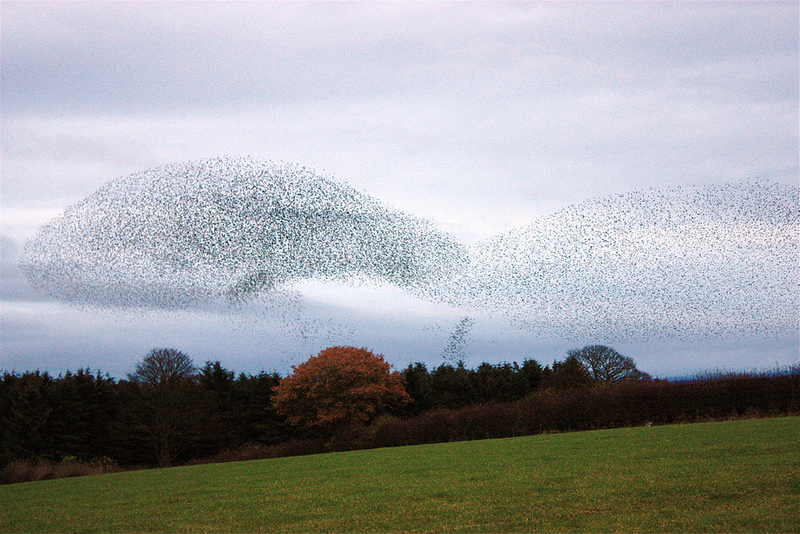 In fact, it’s not too strong to say that a starling murmuration is THE wildlife spectacle in the UK. Now used to describe the aerial display, 'murmuration' originally referred to the sound of wings rippling through the starling flock. Sorry, I can't resist, here's another murmuration video! Starling courtship is also impressive, if somewhat comic. The male starling uses a "wing-waving" action to attract females. They also sing in or near their nests, which they have decorated to impress her. When the female starling is fertile, her mate will keep close tabs on his competitors and follow the female everywhere she goes. In April, starlings can be seen with tufts of grass/feathers, building their nests in all sorts of natural or man-made cavities. They are omnivorous. Starlings take a wide variety of invertebrates as well as seeds and fruit. The fledgling starling is completely different to the adult. It’s a light brown. 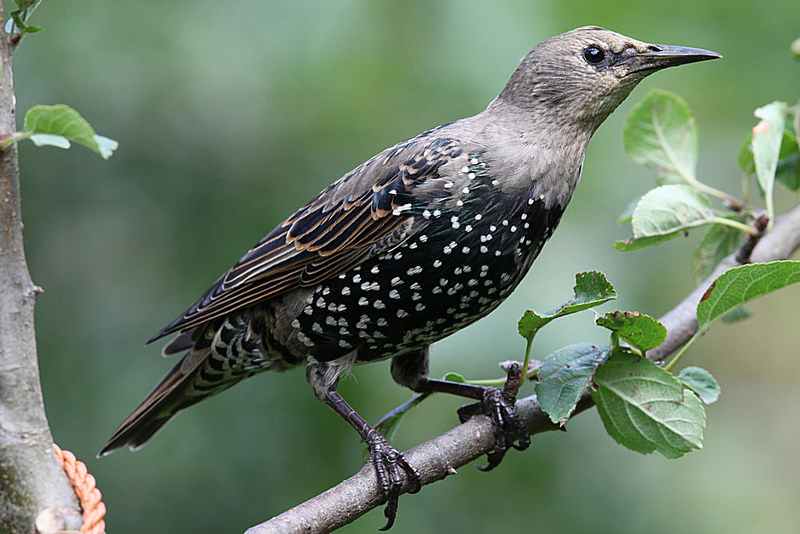 By end of May, juvenile starlings can be seen everywhere chasing their parents around in hope of a feed. They are noticeably less cautious than blackbirds of the same age. Juvenile starlings slowly gain the plumage of their parents. Early on, the fine gloss of the adults is not as noticeable, the bill is brownish-black, and they have more rounded tips at their wings. The Shetland Starling, Sturnus vulgaris zetlandicus, is a subspecies of the starling. They have a darker juvenile plumage and a broader bill-base.